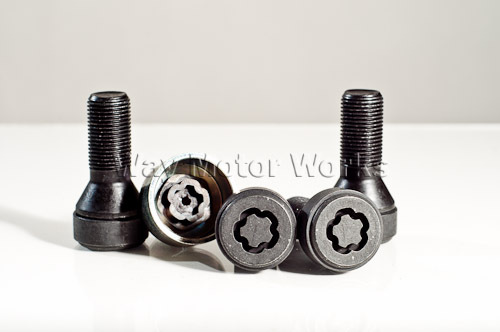 MINI OEM Locking Lug Bolt set. If your worried about your expensive MINI wheels being stolen this is your best theft deterrent. This is a set of 4 bolts, that's one for each wheel. And includes the wheel lock key. Sold in a set as seen in picture.